Would You Buy From Your Company? No Seriously, Would You? Learn how stepping into your customer’s shoes can improve the buying experience at your company. Once you have done these things, rate the experience. Would you buy from your company? If your answer isn't a resounding "Hell yeah, that was awesome!" then you need to stop and roll up those sleeves... you have work to do. Are sales, marketing and customer support truly aligned? View these departments as a 3-legged stool that provides the foundation for your company’s success. If any one of these legs is broken, or even wobbly, your sales goals and business growth might fall flat. In today’s connected economy, your typical B2B buyer will have completed their research on your product or service before contacting companies for further information. According to Peppers & Roberts Group, 81% of companies with strong customer experience skills outperform their competition. CEOs that build processes, technology and culture around the experience buyers want and value outperform their peers. This starts by aligning sales and marketing, not by resolving issues between each other, as in the old blame-game business model, but by resolving differences between your team and the customer. What are your biggest opportunities to improve the experience for your buyers? We have entered the era of the ‘Church of the Customer,’ popularized by Jackie Huba on her award-winning blog. Essentially, people trust people, not products. Research shows that buyers prioritize relationships and trust over product and price. Today, we need to earn the right to conduct business with a buyer by creating and delivering buying experiences that cultivate trust, loyalty and advocacy. Does your social business strategy consider the "new" customer life cycle from beginning to end? There’s been a fundamental shift in customer behavior and the overall buying process. Today’s decision makers can learn detailed information about several aspects of your company prior to ever contacting you. This can also mean that bloated, over-the-top marketing messages have lost their effectiveness. Social selling requires a deep intelligence regarding the customer journey you can only acquire by listening and engaging along the way. Focus on being the best helper because that’s truly what most of your buyers want. They don’t want a salesperson, they want a solution facilitator. Millions of sales professionals use LinkedIn every day for prospecting and networking. 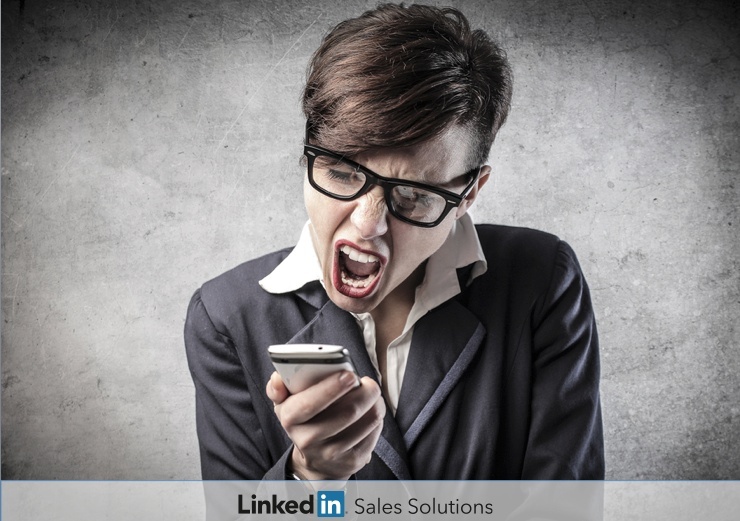 Let LinkedIn Sales Navigator help you create scalable social selling programs. Learn more today!